Iceland are experts in frozen food, delivering great ideas for busy, value conscious mums. With loads of big value packs and special offers across the store, you always get more than you bargained for…that’s why mums go to Iceland. 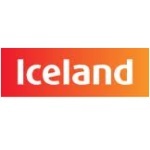 Iceland also offer a home delivery service 6 days a week.